Atalaya golf course in Malaga. Golf in Costa del Sol, Spain. Atalaya Golf, designed by Bernhard von Limburger and Paul Krings is one of the classics of the Costa del Sol. This course, situated between Marbella and Estepona has beautiful panoramic views over the sea, with a fun but accessible design. It is a classic course with generous fairways lined with eucalyptus and pine trees, strategically positioned bunkers and elevated greens. Atalaya has two 18 hole courses (Old & new Course), both with a parkland feel and gently undulating fairways. Atalaya golf is a members’ club open to green fee paying guests. Atalaya Park Golf Hotel & Resort is a four star hotel with a wide variety of different sports free of charge, 3 Restaurants, 2 Bars, 6 Swimming pools (3 for children, 2 Outdoor and 1 Indoor heated, Health Club, 9 Tennis Courts, Nautical Sports Centre and Football Pitch. Address: Ctra. de Benahavís, Km 0.7. 29688 Estepona, Malaga. How to get there: The hotel is located near the Mediterranean motorway A-7 at the edge of the municipalities of Estepona and Marbella (14 km both from Marbella and Estepona) and 72 km (44 miles) from Malaga. 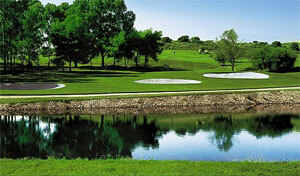 The Golf course is located on the secondary road to Benahavís A-7175, Motorway A-7, exit Benahavís.